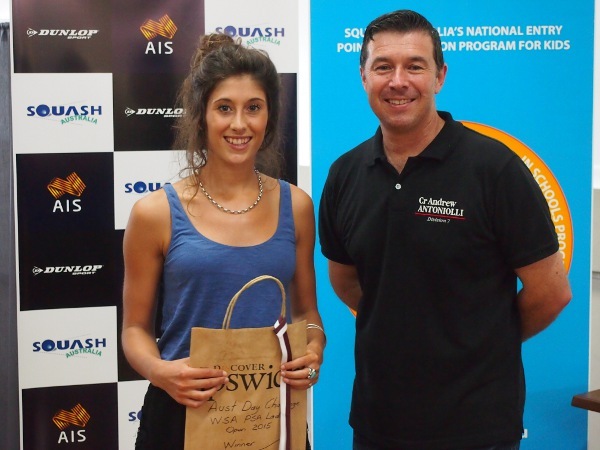 New Zealand's Megan Craig beat home hope Lakeesha Rarere in the final of the Women's Australia Day Challenge to win the WSA Challenger 5 squash event at Ipswich PCYC Squash Centre in Ipswich in the Australian state of Queensland without dropping a game. While the top-seeded Kiwi reached the final after brushing aside Malaysia's Aika Azman in just 18 minutes, 17-year-old Rarere - the third seed - pulled off a notable upset in the other semi when she outlasted higher-ranked compatriot Lisa Camilleri, the No.2 seed, 11-7, 11-8, 4-11, 11-13, 11-9 in 47 minutes. "It's great to get an early win, it gives me a bit of confidence going into a bit of a break," said 22-year-old Craig after her 11-7, 11-4, 11-4 title triumph in 23 minutes. "It was pretty hot out there, I didn't want to be out there too long. "It's a great tournament," added the 2011 runner-up from Blenheim who crashed out at the quarter-final stage last year. "I'm glad I came back now."